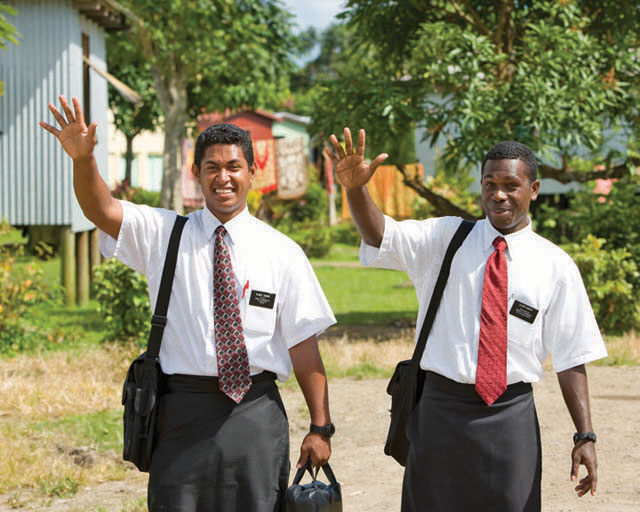 The Lord has told us in these latter days to hasten the work of gathering His sheep—meaning we must accelerate the missionary work we do around the world. We constantly send out thousands of missionaries both young and old to accomplish this work. We are grateful when we hear of the Church’s growth in places far and near thanks to their efforts. Many others have taken a greater time to come to the point of conversion. To them, the spirt of revelation to join the Church comes slowly in the Lord’s way and according to the Lord’s timetable as the Holy Spirit enlightens them. Per President Dallin H. Oaks: “Revelation is a reality. It comes in the Lord’s way and according to the Lord’s timetable”. Some people need more time than others. In my own family’s case, it took over twenty years of study, questioning, and prayer before my mother and father led themselves and their four sons into the waters of baptism. Each year, they learned a little more about the gospel until the time was finally right for them and they were prepared to join the body of saints through baptism. He went on to say that he had just retired after twenty years on active duty in the Navy. His first year of service was in submarine duty. On his first excursion out to sea, his bunk mate, who slept above him, one night reached down from his bunk with a book in his hand. He offered it to Jim without any explanation except to say, “Jim, someday this book will change your life.” Jim said thanks for the offering, but never got around to reading it. It was that copy of the Book of Mormon that Jim was showing to me. He went on to explain the strange power this book has had on him for these past twenty years. He said that he and his wife had moved more than ten times while in the military. He had always read a lot while in the service. With each transfer, they tried to simplify their moves and threw away most of their paperback books. 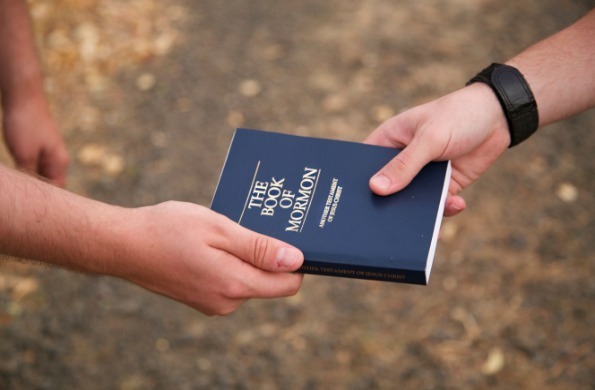 Jim said that time and again he was ready to cast the Book of Mormon into the trash can along with the other discarded books, but was held back. Several times he held it in his hand over the trash can ready to throw it away, but a strange power seemed to glue it to his hand until he put it back down and repacked it. Again, he asked me, “What is so special about this book?” I waited a few moments, then explained that this book was the word of God just like the Bible. I then answered a few more questions but thought it better to give him an invitation to meet with two of our good missionaries who lived nearby. He gladly accepted my invitation. I was so stunned, I could only stammer out, “Where and when? You bet I’ll be there.” That Saturday morning came and after a very fitting pre-baptismal program, I was pleased and overjoyed to step down into the font and baptize these two wonderful and faithful people. All of this happened because a friend knew his duty to share the gospel and acted upon that inspiration from the Holy Ghost. A short time later, Jim and Mary decided it was time to move on to where they had always dreamed of being, and went to Idaho to be near more saints. I am sure that the friend who gave Jim his copy of the Book of Mormon has never heard of the great work he initiated. I hope he will rejoice in the hereafter when they meet again. I, too, am grateful to the unknown missionaries who in 1940 placed tracts about the restoration of the gospel and Joseph Smith in some empty slots at a train station near Palmyra, New York. 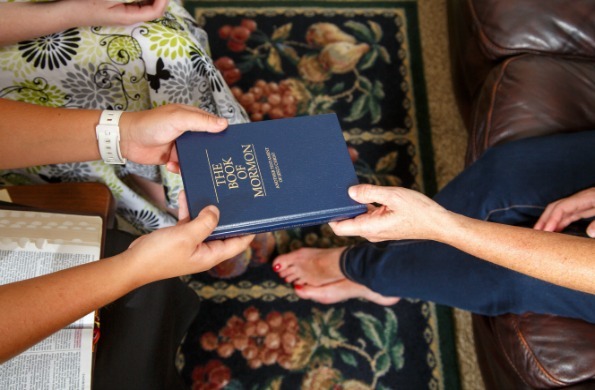 That’s where my mother picked them up and pondered their message for many years until two other unknown missionaries left a copy of the Book of Mormon with my grandmother. 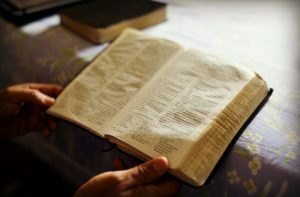 She knew of her daughter’s interest in the Church and dropped it in the mail with a little note saying, “I think you have been trying to find this book. I am not interested in it myself, but I know you are. Please take mine.” It took another seven or eight years more of reading and studying before the work of those other missionaries resulted in our whole family entering the waters of baptism and never looking back. Let it be said that the old adage “From little stokes fall great oaks” still holds true—especially in missionary work. Every effort we make now may not yield immediate results or ones that we can see. But with time and the testimony of others, we may be surprised at blessings formerly unseen or forgotten that have now come to pass in the lives of our friends and families. George Domm was born and raised in upstate New York around historical LDS sites such as the Hill Cumorah and Palmyra. He was very familiar with the Church long before he was baptized in 1959. Soon after joining, he found himself serving a full-time mission for the Church in Berlin, Germany. That was his first of four missions! George currently lives in American Fork, UT with his wife, Margaret, and busies himself trying to keep up with their 11 children and 42 grandchildren. He loves to do family history and play golf with "all the old men in our neighborhood." His goal is to one day shoot his age, 74.